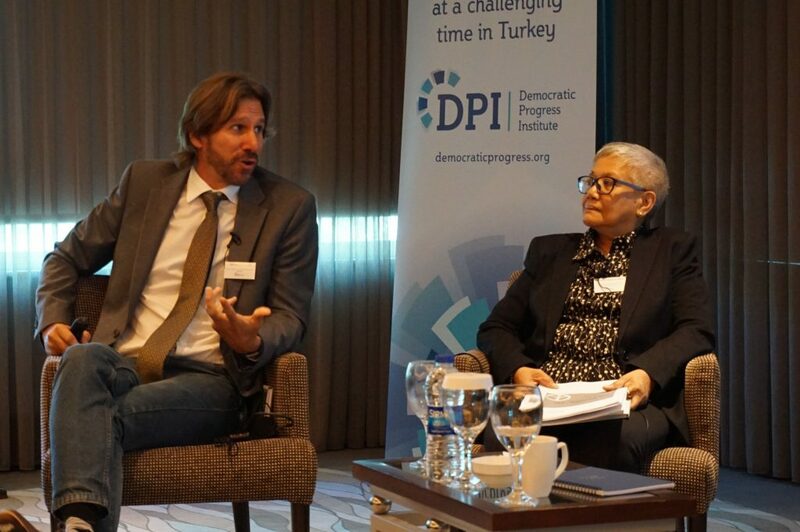 On 29 September, DPI held a roundtable meeting on ‘Lessons learnt from international experiences in conflict resolution’ in Ankara, Turkey. The meeting brought together a diverse group of more than 50 participants including politicians and policy-makers, civil society actors, academics and journalists, to discuss experiences from peace and transition processes around the world, which offer useful and relevant examples of principles, models and approaches that can guide conflict resolution and democratic advancement. The meeting provided a timely opportunity to review and refresh memories and understanding of the benefits of peace and the nature of peace-making processes. 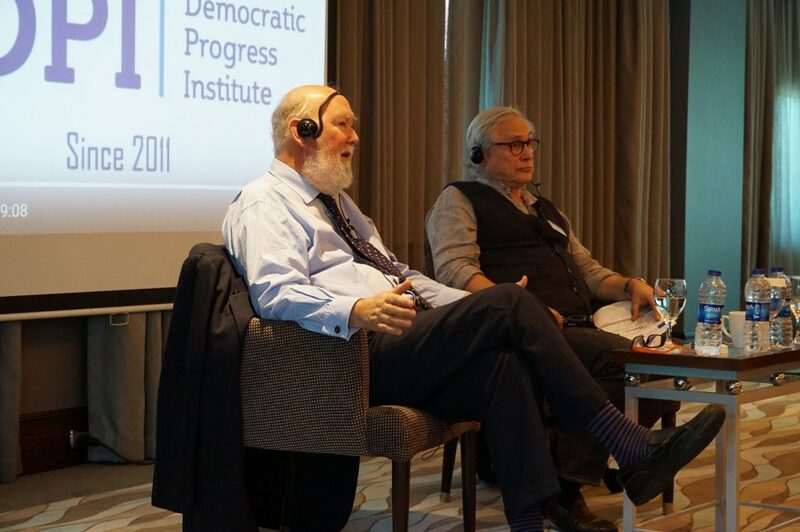 It also served as reminder of the importance of preserving the foundations for inclusive dialogue between different parties and different groups in society even in the most challenging times. Participants had the opportunity to discuss challenges, opportunities and lessons learnt with prominent international experts who shared insights and valuable policy and civil society perspectives from their own direct experience of making and sustaining peace in international cases. The meeting drew in particular on the South African and Philippines examples, with an emphasis on identifying and addressing obstacles to the resumption of a process where it has stalled or is ‘parked’, as well as entry points for getting a process back on track. 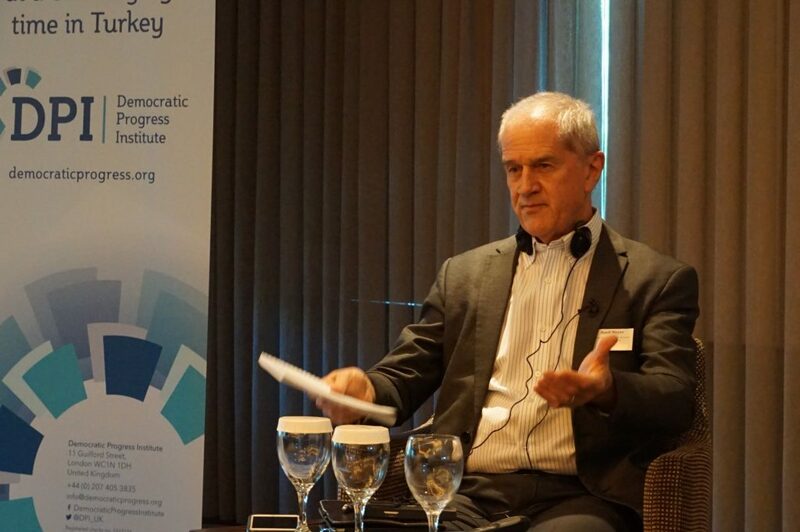 The roundtable was part of the project ‘Supporting inclusive dialogue at a challenging time in Turkey’, supported by the EU and the Irish, Dutch and Norwegian governments. A full transcript report of this visit is forthcoming and will be available on the website in due course. Please refer to the gallery section of the website for photos of the events and to ‘In the media’ for media coverage.